First of all, what is a Backhand volley? 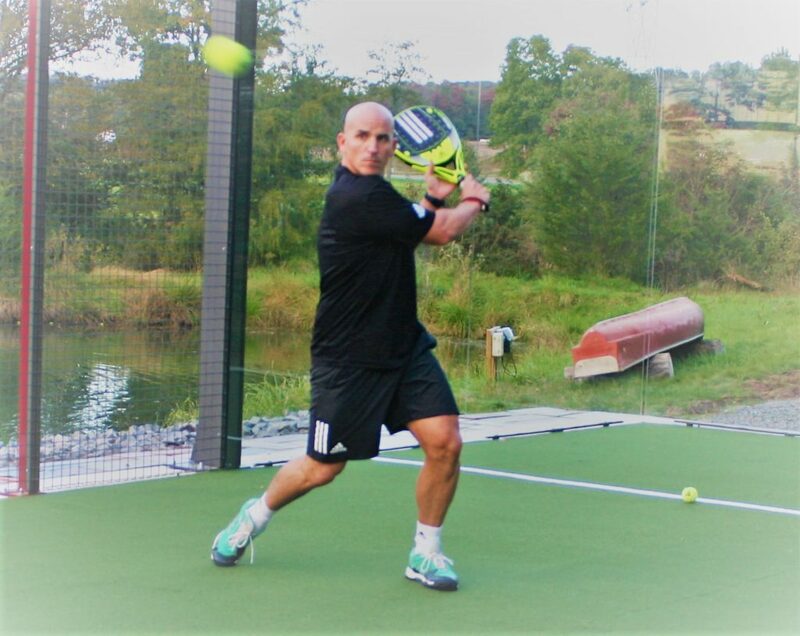 The main idea is try to hit the ball as soon as possible forcing your opponents to move very quickly and leaving them almost without any time to react and recover their position. Thus they will probably be in a difficult situation to hit the next ball. The importance of turning your body and showing your right shoulder in the backswing. Leveraging on the concept that I love called “compound effect”, the more volleys we hit, the more difficult situation my opponents will find. So, please keep in mind the idea of that if you are volleying, you are already attacking. No need to try to win the point with every volley and taking an excessive risk all the time. What about the right GRIP? I recommend continental grip*. 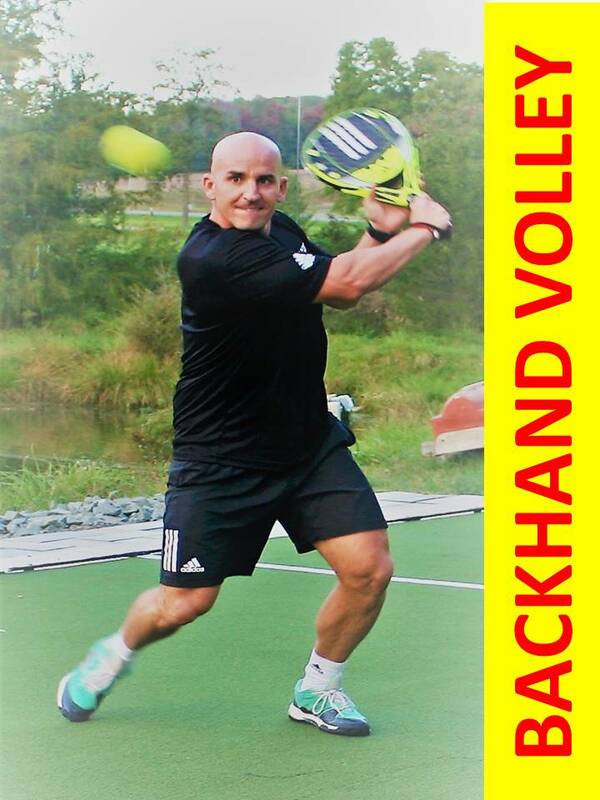 That is an easy option for backhand and also forehand volley but if you are a beginner and feeling lack of strength, you can try a bit more closed grip (facing with the racquet clearly to the other side and showing middle knuckles to the opponents). And what not to forget regarding the technical stages of the shot? a) If you HAVE TIME enough and the speed of the ball you´re receiving LET YOU GO FORWARD..
• Automatically, you will take a step forward with the right foot looking for the appropriate distance on impact . • Contact point will vary depending on the direction you are looking for but make sure ball doesn´t pass your body line. • Feet stay firmly on the ground with body weight on your right leg and left heel slightly raised off the ground as a consequence of the weight transfer. b) If you DON’T HAVE TIME and the speed of the ball you´re receiving DON’T LET YOU GO FORWARD..
*You will only be focusing on trying to control that volley and finding the way of putting it in play. * Since you don’t have any chance of attacking the ball, put all your attention on placing your weight on your left leg in order to find an stable position. * Just contact and follow through with probably no transfer of your body weight forwards. As you can see, apart from the right technique in every single shot, you should apply your COMMON SENSE and UNDERSTANDING the concept of the game and your placement and goals in every situation in order to make the right decisions when playing. Hitting the ball is absolutely much easier than learning how to play the game. Want to learn more? Thinking of a training program? Get in touch! I will be more than happy to help you!